Those who’ve never visited Dallas may only know it through the lens of the rich and powerful Ewing family of the 1980s hit TV series where oil, cattle, wealth, and intrigue became synonomous with Texas. Others may know it only as the home of America’s Team – the Dallas Cowboys football team. But this city offers plenty of reasons to get to know it from the burgeoning culinary scene to the renowned arts district to the glittering downtown nightlife. Visitors are drawn to diverse neighborhoods like Highland Park, Knox Henderson, and the Bishop Arts District. Travelers to the Big D can don’t require Stetson hats and Lucchese cowboy boots to head off for a stay at any of these 25 inns and hotels in Dallas, but it makes it more fun. 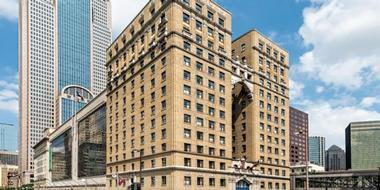 The Adolphus Hotel, a luxury accommodation that first opened its doors back in 1912, sits in the heart of historic Dallas. The hotel’s Beaux-Arts architecture takes travelers back in time while still maintaining modern conveniences. The beautifully-furnished and recently renovated rooms provide modern amenities and comforts with a classic twist. During their stay, visitors also relax by the rooftop pool, warm themselves by the fireplace, indulge in one of the many spa treatments available, or satisfy their hunger at the hotel restaurants and bars. Guests can also easily access neighborhood shops and restaurants within easy walking distance. First constructed in 1919, the NYLO Dallas South Side has since been renovated, offering unique accommodations with exposed brick, venting, and piping that give this boutique hotel an upscale industrial feel. Rooms consist of spacious lofts and suites with high ceilings and refitted bathrooms. From the infinity pool on the hotel rooftop, guests gaze at dramatic skyline views of the city. Just outside the hotel, visitors can walk to the Dallas Arts District for a plethora of galleries, restaurants, and boutiques. 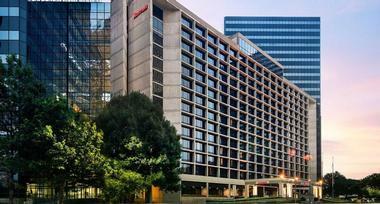 Business travelers can easily access the Dallas Central Business District and the Dallas Convention Center as well. 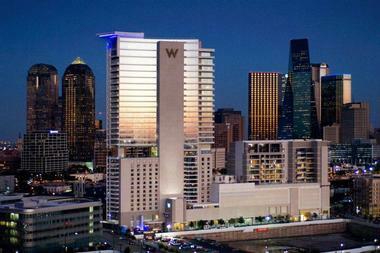 Travelers who prefer to stay right in the middle of it all should consider The Westin Galleria Dallas. Located at the Galleria Mall, the Westin Galleria provides luxurious accommodations and convenient access to over 200 shops, restaurants, and attractions. Sports fans in town to see the Cowboys play enjoy convenient access to the AT&T Stadium from this hotel. Guests looking to treat themselves can indulge in in-room spa treatments, lounge in the heated rooftop pool, or feast on regionally-inspired cuisine at the Second Floor restaurant. The hotel’s large size also makes this an ideal venue for weddings, parties, business meetings, and conferences. Canopy by Hilton Dallas Uptown is a brand new Dallas luxury hotel in the most walkable of all Dallas districts, surrounded by parks, concert venues, local breweries, art galleries, and upscale shops. 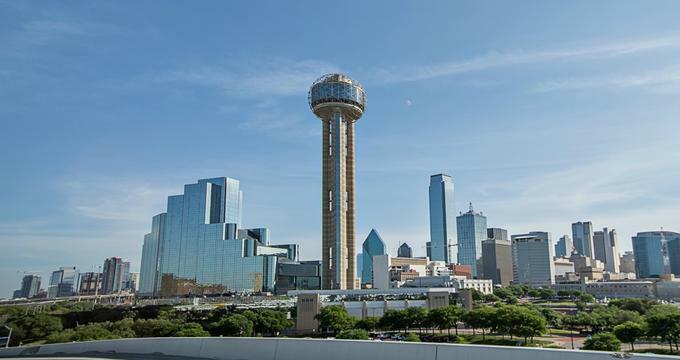 All Dallas attractions, such as World Trade Center, the Holocaust Museum, and American Airlines Center, are just a short drive away. The modern rooms and suites are decorated in a contemporary style, with artwork by local artists, free Wi-Fi, large HD TVs, mini-fridges, private bathrooms, and luxury linen designed exclusively for the hotel. Suites have living areas and balconies overlooking the city. A complimentary breakfast is served in the hotel’s Canopy Central or guests can have it to-go. Every night guests are offered local craft beer tasting. The beautiful rooftop lounge is perfect for enjoying the sunset with delicious food and craft drinks. The event spaces, located on the hotel’s top floor, have massive floor-to-ceiling windows with magnificent skyline views. 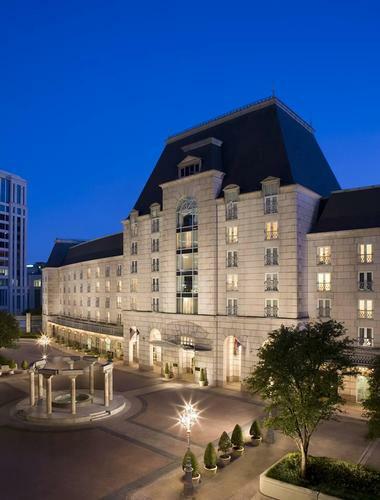 The Fairmont Dallas is a luxury hotel in the middle of Dallas’ thriving Arts District. Patrons of the arts who want to watch a play, visit a gallery, or take in an opera will love the hotel’s proximity to the city’s theaters, music halls, and event spaces. Guests can cap off a night on the town with a cocktail by the outdoor pool or a late dinner in the 4-star Pyramid Restaurant. 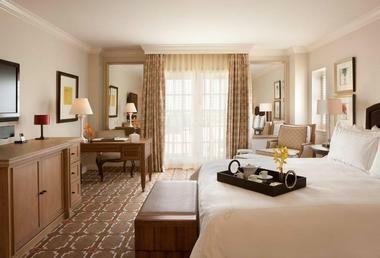 Those who are in town on business will appreciate the large writing desk and high-speed Wi-Fi available in every room. After a late night working or enjoying Dallas’ nightlife, guests can get a much-needed morning caffeine boost from the lobby-level Starbucks. Hotel Zaza’s Dallas Uptown location is known for its glamorous guest rooms and lavishly decorated themed suites featuring one-of-a-kind works of art from local artists. You don’t have to be a celebrity to stay at ZaZa, but you might find yourself sitting next to one at the poolside lounge one night while DJs mix tracks and waiters serve mixed drinks. The ZaSpa is open seven days a week and offers a full menu of signature treatments and body therapies. An on-site fitness center is filled with the latest in cardio equipment and free weights. Personal training sessions with a certified fitness specialist are available upon request. The Ritz-Carlton name is associated with luxury and their property in Dallas is no exception. The hotel’s location on trendy McKinney Avenue puts it right in the middle of Dallas’ retail and entertainment district. Five-star accommodations and services like a chauffeured house car for visits to local restaurants, shops, and attractions make this hotel a desirable destination. Mixing business with pleasure is effortless at the Ritz-Carlton. Guests have access to a 24-hour business center with notary public, secretarial, and delivery services. When guests need a break from sightseeing or deal-making, they can restore mind, body, and spirit in the hotel’s upscale spa. 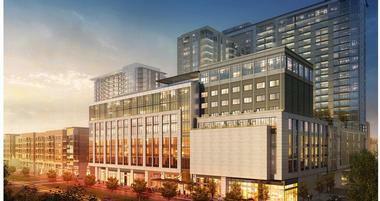 Travelers in town for events at the Dallas Convention Center will love the convenient location of the OMNI. 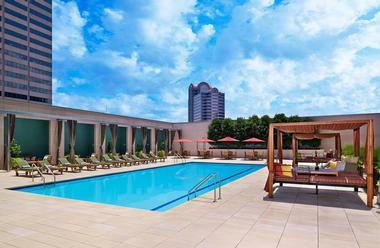 This 4-star hotel is connected to the convention center by a sky bridge and is less than half a mile from Union Station. 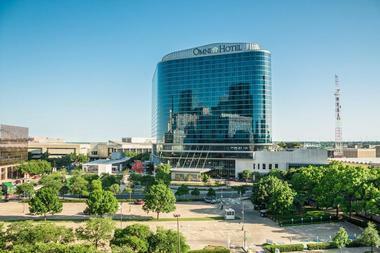 The OMNI has more than one thousand guest rooms and suites with views of Trinity River or downtown Dallas. Families with small children will love the special attention they receive during their stay. The OMNI Kids Crew program provides each kid a backpack filled with activities and games when they arrive and delivers milk and cookies to their room later that evening. Guests may never want to leave The Joule. An exclusive property with its own group fitness studio, trio of boutique shops, and acclaimed restaurants and bars, The Joule boasts 160 rooms and four penthouse suites with contemporary decor and luxury amenities. The hotel’s unique dining options include Tea at TASCHEN; Midnight Rambler, an underground bar that serves craft cocktails; CBD Provisions, a brasserie known for its selection of local brews; and Americano, a retro cinema-inspired Italian restaurant. A fleet of house cars is available to transport guests of the hotel to concierge-recommended shops, award-winning restaurants, and event venues. The Highland refers to itself as an “urban resort.” Its chic rooms and suites are decorated with contemporary artwork and boast modern conveniences like iHome docking stations, DVD players, and flat-screen televisions. The hotel employs a team of professionals to assist in planning business meetings, special events, and weddings in its mid-century modern event spaces that can accommodate up to five hundred guests with Texas-style catering provided by a James Beard-nominated chef and Knife, the hotel’s on-site steakhouse. The team also provides audiovisual equipment and tech support as well as special group rates for events for guests who stay at the hotel. 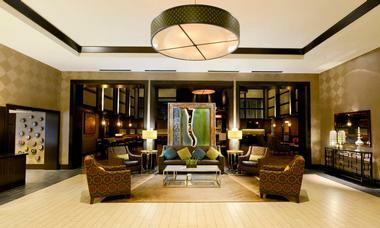 The Warwick Melrose in Dallas is a landmark hotel with well-appointed guest rooms and suites. Guests will enjoy high thread count linens and Fili D’Oro duvets on pillow-top mattresses. Full-length terry cloth robes and chaises longues in every room will make you want to curl up and read a good book while sipping a cup of tea from the room’s refreshment center. Visitors to the hotel’s fitness center will appreciate the range of free weights and TRUE Fitness cardio equipment as well as complimentary water, fresh fruit, and granola bars. A signature cocktail at The Library is the perfect way to end the day at the Warwick. The Magnolia is known for its Southern hospitality. Even pets receive a warm welcome at this Beaux Arts hotel in downtown Dallas. Custom bedding, oversized soaking tubs, and freshly made cookies every evening will welcome guests home from a day of sightseeing in Dallas. Extended stay options are available for long-term business travel of thirty days or more. Use of the property’s executive conference facilities and a range of business services are available for daytime meetings or nighttime work sessions. Choose from in-room dining or The Lounge’s à la carte menu for a selection of comfort foods and Tex-Mex favorites for breakfast, lunch, and dinner. Rosewood Mansion on Turtle Creek gives guests a chance to live in the lap of luxury while visiting Texas. Located in Uptown Dallas in the Arts District, this former private residence has been converted into a luxury boutique hotel with a residential ambiance. The Rosewood has 143 rooms that accommodate short vacations as well as extended stays exceeding 30 days or longer. The Mansion restaurants serve up contemporary American cuisine with regional influences. The Rosewood also hosts private dining perfect for a romantic evening. Although quality comes with a cost, guests rave about the impeccable level of service and unmatched elegance of Rosewood. Formerly a 1960s motel, the owners have since transformed Dallas’ Lumen into a mid-century, modern boutique hotel. The Lumen sits just opposite of Southern Methodist University along a tree-lined border of Highland Park a mere five miles away from the Dallas World Aquarium. While visiting The Lumen, guests enjoy access to the fitness center and outdoor, heated swimming pool. The hotel conveniently offers vacationers a complimentary car pool service that transports them to downtown Dallas. Although not within the hotel itself, a nearby spa and wellness center gives guests a chance to pamper themselves during their stay. This pet-friendly hotel also welcomes furry friends. 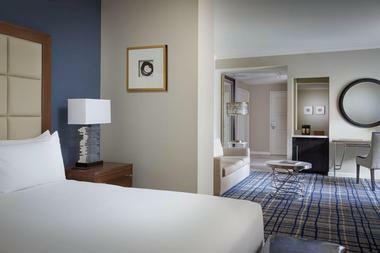 Travelers looking for a bit of leisure or a comfortable stay during a business trip should consider Le Méridien Dallas. Upon arrival, the atrium-style lobby greets guests, offering a spacious area for visitors to meet, hang out, or grab a bite to eat. While a bit off of the beaten path from the downtown area, Le Méridien Dallas has plenty to offer on-site, including an exercise room, indoor pool, and live entertainment. Tourists can enjoy an afternoon of golfing, tennis, or shopping nearby. Le Méridien Dallas also offers a full-range of business services with meeting rooms and printing/copy services. Conveniently located right in the middle of it all, the W Dallas Victory Hotel and Residences offers hip and modern accommodations. The superb location puts travelers in the heart of it all with bars and restaurants a stone’s throw away from the hotel. The large, stylish rooms come equipped with a 42-inch flat-screen TV with premium channels, rainfall showerhead, minibar, refrigerator, and 24-hour concierge service. The hotel’s large venue space supplies a sophisticated setting for business meetings, conferences, and events. Meanwhile, The Living Room, off the hotel lobby, gives guests a place to gather while sipping martinis and people watching either inside or out at one of Dallas’ top-rated bars. For travelers willing to pay top dollar, The Crescent Hotel Dallas sits in the ideal location in the city’s Uptown district and offers a full array of amenities on its 10-acre complex. Without ever leaving the hotel, guests can choose from a number of different dining options, including a Starbucks, Japanese restaurant, or classic American eatery. The fitness facilities feature modern, new equipment, and visitors can also enjoy the hotel’s resort-style pool that comes complete with poolside service. Meanwhile, the on-site spa offers a full list of treatments for a day of ultimate relaxation. The large complex also hosts events such as weddings and conferences. 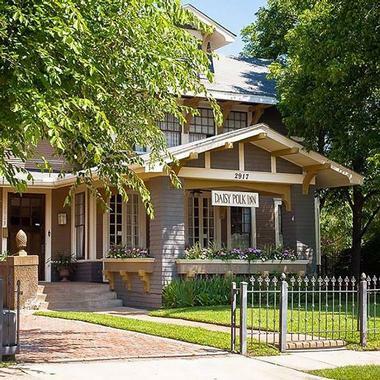 Named after Daisy Polk, one of the former owners of the property and an inspiring local figure, this turn-of-the-century bed and breakfast is located two miles northwest of downtown Dallas in gay-friendly Oak Lawn. Five of the rooms in the property’s main house and its on-site cottage feature en suite bathrooms while the sixth has private access to a full bathroom on the upper floor. A continental breakfast with homemade pastry is served daily in the dining room of the main Arts and Crafts-style house. The inn’s location makes it the perfect spot from which to explore the attractions of Dallas. 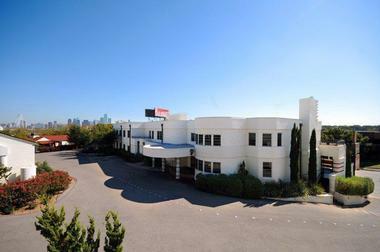 Located 10 minutes from downtown Dallas, The Belmont Hotel aims to please with a variety of amenities and on-site conveniences. The property features a unique, minimalist architecture and offers a choice of vintage rooms or bi-level suites. 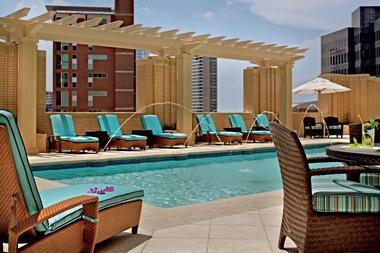 From the outdoor pool and patio, sunbathers get a panoramic view of the Dallas skyline. The hotel restaurant serves up traditional Texas-style barbeque while the bar provides the perfect place to sip cocktails underneath the stars while listening to live music. Travelers on a budget can check with the hotel’s website for package deals, drink vouchers, senior discounts, and early bird specials. This dog-friendly hotel also welcomes pets to stay the night. With over 300 rooms, the Omni Dallas Hotel at Park West provides the perfect upscale getaway for leisure and business travelers alike. With the Dallas/Fort Worth Airport and Galleria Mall just 10 minutes away, guests can easily make their flight on time or check out local attractions. The amenities include a swimming pool and outdoor Jacuzzi, ideal for a relaxing day soaking up the sun. Omni Dallas overlooks a lush green park and shining lake with winding paths perfect for an afternoon stroll. Meanwhile, the hotel’s on-site wine bar hosts monthly deals on tastings and appetizers for an evening of lively libations. Staying in the Magnolia Hotel in downtown Dallas has its advantages. The premium location makes it perfect for history and art lovers who can take a walk to one of the largest Arts Districts in the country or see pieces of Texas history in the West End District. With DART, the city’s easy-to-use public transportation system, and historic railcars only a short walk away, visitors can forgo renting a car. Downtown Dallas also offers a wide variety of shopping and dining options. Architecture lovers will appreciate the hotel’s building, which was erected in 1922 and is credited with being the city’s first skyscraper. 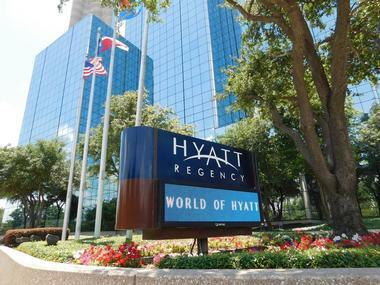 Located near the Dallas Convention Center, the Hyatt Regency in Downtown Dallas provides an array of convenient accommodations for the savvy business traveler. Professionals can’t go wrong with complimentary Wi-Fi in every room, over 100,000-square-feet of meeting space, and a FedEx Office Business Center located inside the hotel. 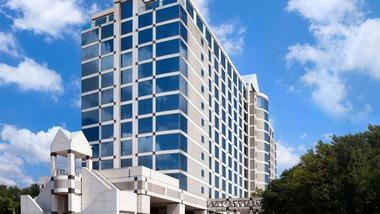 The Hyatt Regency boasts a prime location and is within walking distance of many of Dallas’ historic places. For visitors on a time crunch or fighting jet lag, the hotel has a fitness facility open 24 hours a day. Even the dining options are enough to make one never want to leave the hotel, making it the perfect full-service option for busy professionals. In the heart of Dallas’ vibrant Arts District, the Dallas Marriott City Center can accommodate guests visiting for a variety of reasons. For visitors looking for a luxurious, yet convenient option for their wedding ceremony, the hotel is home to one of the most beautiful ballroom venues in the downtown area. The grand Plaza Ballroom, located in the hotel, can accommodate up to 1,000 guests. Large events are made that much easier with the hotel’s easy-to-use Attendee Booking capabilities and mobile check-in options. With room service and a fitness center open round-the-clock, the hotel is also a great choice for guests who have long layovers. Housed in one of the city’s most historic buildings, the Hotel Indigo is great for stylish guests who care to explore the city’s fun side. The boutique hotel is located near Klyde Warren Park, a popular spot for outdoor yoga classes and outdoor concerts. Each of Hotel Indigo’s hotels are a reflection of the authentic neighborhood that surrounds them, and their downtown Dallas location is no exception. The hotel’s dining options include local food and drink favorites, and the hotel bar welcomes Dallas locals and visitors alike. 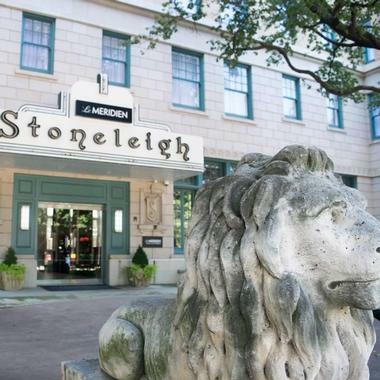 It’s the perfect place to stay for guests who want the authentic downtown Dallas experience. Comfort is key at the Renaissance Dallas Hotel. Close to a myriad of restaurants, art galleries, and music venues, the downtown hotel caters to guest who want to explore Dallas on their own terms. An outdoor heated pool and rooftop whirlpool allow guests to get some quality R&R without ever stepping outside the hotel. For guests planning a special event, the rooftop venue is a great place for a private outdoor gathering. In-house dining options include a morning breakfast buffet and a Latin-influenced menu at the hotel’s Asador restaurant. Nearby, Tex-Mex restaurants as well as organic cafés, steakhouses, and a fish market are all within walking distance.